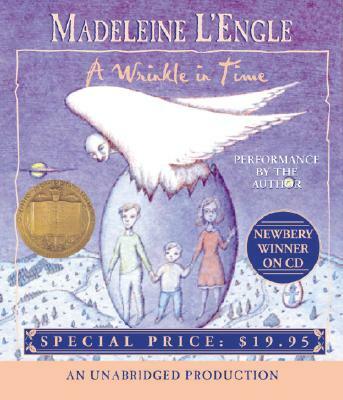 Madeleine L'Engle was the author of more than forty-five books for all ages, among them the beloved "A Wrinkle in Time, " awarded the Newbery Medal; "A Ring of Endless Light, " a Newbery Honor Book; "A Swiftly Tilting Planet, " winner of the American Book Award; and the Austin family series of which "Troubling a Star" is the fifth book. L'Engle was named the 1998 recipient of the Margaret A. Edwards award, honoring her lifetime contribution in writing for teens. Ms. L'Engle was born in 1918 in New York City. She wrote her first book, "The Small Rain, " while touring with Eva Le Gallienne in "Uncle Harry." She met Hugh Franklin, to whom she was married until his death in 1986, while they were rehearsing "The Cherry Orchard, " and they were married on tour during a run of "The Joyous Season, " starring Ethel Barrymore. After splitting her time between New York City and Connecticut and acting as the librarian and writer-in-residence at the Cathedral of St. John the Divine, Madeleine L'Engle died on September 7, 2007 at the age of 88.